Researchers say they’ve developed a new experimental blood test that can detect eight common cancers before the disease is even diagnosed. 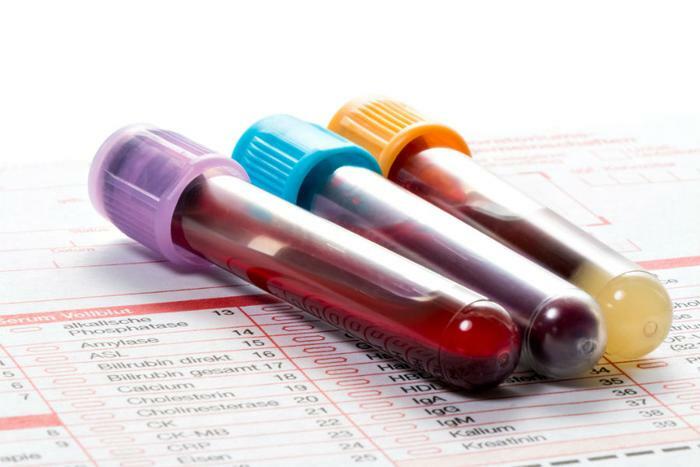 The blood test, called CancerSEEK, was tested on 1,005 patients at John Hopkins University, whose cancers had already been diagnosed but had not yet metastasized. Ovarian, liver, stomach, pancreas, esophagus, colorectal, lung, and breast cancers were detected in the blood samples of 70 percent of participants. These cancers account for more than 60 percent of cancer deaths in the U.S., the researchers noted. Five of these tumor types -- ovarian, liver, stomach, pancreatic, and esophageal cancers -- currently have no screening tests. "The use of a combination of selected biomarkers for early detection has the potential to change the way we screen for cancer, and it is based on the same rationale for using combinations of drugs to treat cancers," says Dr. Nickolas Papadopoulos, senior author and professor of oncology and pathology. In addition to testing for the general presence of cancer, the test can hone in on the location of the cancer within the body. In eight of 10 cases, CancerSEEK was able to determine the position of the cancer in the body. The non-invasive test works by analyzing DNA mutations and protein biomarkers. Other cancer biomarkers -- such as metabolites, mRNA transcripts, miRNAs, or methylated DNA sequences -- could be added in the future to increase sensitivity and accuracy of cancer site localization, the researchers say. The ultimate goal of this “liquid biopsy” is to detect cancer earlier -- even “before the disease is symptomatic,” Papadopoulos said. He says early diagnosis of cancer makes it “easier to kill...by surgery or chemotherapy,” which can help reduce cancer deaths in the long-term. While CancerSEEK represents an important step towards the development of a tool for routine cancer screening in healthy individuals, the researchers say more research is needed to get to that point. In its current state, CancerSEEK was better at detecting later stage cancer compared to cancer in earlier stages. A larger study is already underway to see whether the test can pick up tumors in women who are seemingly cancer-free. John Epling, a doctor with Carilion Clinic and the Virginia Tech Carilion School of Medicine, says a few additional steps will also be necessary before the test goes public. "The next steps are to define how positives in this test are followed up for each of the cancers, and then to study this screening test on a group of patients without any symptoms of cancer," Epling, who was not involved in the study, told ConsumerAffairs. "Ideally a study like this would be a randomized controlled trial of screening using this test vs. 'usual screening' to demonstrate benefit beyond the currently-employed tests for several of these cancers. The outcomes considered in such a study should not stop at cancer detection, but instead include improved quantity and quality of life over the long term," he said. Papadopoulos and his colleagues hope commercial availability will follow additional evaluations of the test. The team believes the test could eventually cost less than $500 to run and could be easily administered by a primary care physician.